If terraced house or rental flat sounds deadly boring, then we have some good news for you: German architects and artists have been hard at work designing unusual, innovative homes. Their creations run the gamut from luxury treehouse to an upcycled cottage, and are anything but boring. Architect Götz Stöckmann was probably dreaming of sleeping under the stars when he designed the house he christened the “Living Room” in the half-timbered town of Gelnhausen in Hessen. Also known as the “Drawer House,” it features a 20-square-metre bedroom that pulls right out of the façade like a dresser drawer. 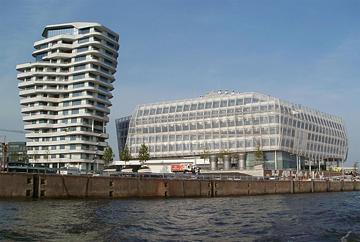 Modern and futuristic: Completed in 2009, the Marco Polo Tower designed by Stuttgart-based Behnisch Architekten is an elegant shape in Hamburg’s silhouette as seen from the Elbe River. Each of the 17 stories is slightly offset and larger than the floor below, so the curved, terraced apartment building resembles a huge funnel. Artist Friedensreich Hundertwasser provided the plans for this unique apartment building in Darmstadt completed in May 2000. Instead of right angles or straight lines, the 105 flats in the U-shaped “Waldspirale” (“forest spiral”) complex feature onion domes while their windows sprout trees. 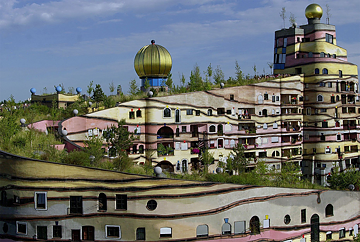 Hundertwasser also designed buildings in Essen, Frankfurt, Magdeburg and other German cities. In 1980, when Osman Kalin emigrated from his native Turkey to Berlin, he discovered a small slice of no-man’s land. Legally it belonged to East Berlin, but somehow ended up on the Western side of the Berlin Wall. With permission from the GDR authorities, Kalin planted a vegetable garden and built a small house using reclaimed materials that he expanded once the Berlin Wall fell. 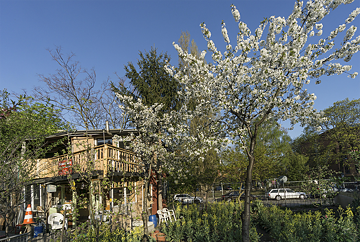 And while this Berlin treehouse is not actually in a tree, it is surly a summer house that can look back on one of the richest histories in Germany. 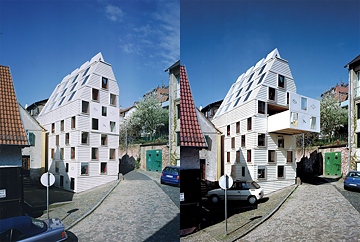 The architect Björn Siemsen built an extremely narrow single-family home tucked into gap between two buildings in Kiel : just 80 centimetres wide at the rear – not nearly enough room to swing the proverbial cat – though the front measures 4.5 meters and the interior offers a total floor space of 29 square metres. 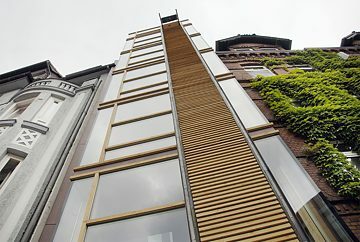 In 2007, Siemsen received an environmental award for his project built primarily of ecological materials and with wall radiant heating. Designed by architect Rolf Disch, the flats in this “revolving solar house” in Freiburg am Breisgau were ready for occupants in 1994. The apartment building has windows on one side and rotates to track the sun, taking full advantage of weather conditions. Combined with sophisticated thermal insulation and a flexible solar power system, the building produces around five times as much energy as it consumes. 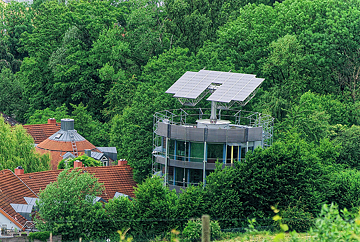 Disch also designed the Freiburg Solar Settlement of 59 plus-energy houses. Artist Kurt Gminder built his home in the Nassach Valley near Stuttgart from scrap and recycled materials. 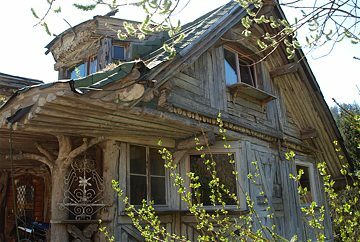 He spent around 30 years completing this fairy-tale cottage using demolition waste. The reclaimed windows fill the interior with light, and the sculptures that dot the garden are also constructs of scrap and waste. When architect Bruno Taut was appointed to the Magdeburg city planning office in 1921, he concocted a plan to liven up the city’s uniform grey walls. “The colour will restore the buildings’ character”, he is reported to have said, before hiring artists to repaint the baroque town hall and entire city blocks in brilliant colours. 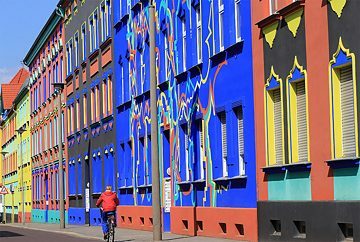 Most of these colourful buildings were destroyed during the Second World War, so the facade designs drafted by architect and artist Carl Krayl have been reconstructed in Otto-Richter-Straße. 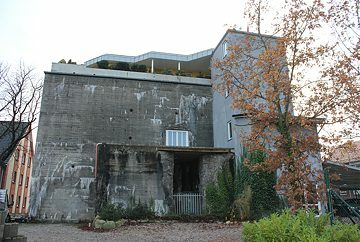 In 2009, architect Andra Zsiray completed a one-story penthouse on the roof of a 12-metre WWII bunker in Flensburg. An external elevator whisks visitors up to the around 400-square-meter rooftop. Zsiray works and lives in this unusual space. Real estate agent Harald Busse’s houseboat rocks gently on the waves of Scharmützel Lake in Wendisch Rietz, Brandenburg. 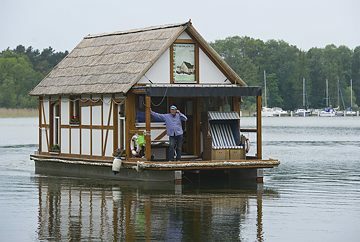 Busse outfitted his floating, half-timbered home with a bath, toilet, and living room and has sailed it on the waters of Brandenburg since 2010. This aquatic motorized home is officially licensed as a sports boat. Eva-Maria Verfürth is the editor-in-chief of the Tea after Twelve online magazine and managing director of the Bunny Island communications agency. Copyright: Text: Goethe-Institut, Eva-Maria Verfürth. This work is licensed under a Creative Commons Attribution – Share Alike 3.0 Germany license.